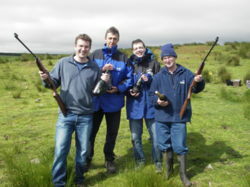 Adventure 21 have been offering it's customers safe, fun and competitive target sports for many years. Archery and air rifle shooting have been popular with both adult and junior groups and with our paintball we have gone one step further in bring extra activities to our customers. If you would like to do a full day why not choose from one of our other activities to go with your archery and rifle shooting!